Terry went out with a bang, thanks to his hilarious obituary. AN INDIANA man who lived to make people laugh gifted his survivors with his sense of humour - and the inspiration for a hilarious obituary. When Terry Wayne Ward, 71, died of a stroke on January 23, his daughter decided to honour her father by penning a one-of-a-kind obituary that quickly went viral after she posted it on Facebook. "With him as a father there was absolutely no other way to write this obituary," Jean Lahm, Ward's daughter, told The New York Post. Ward, a Vietnam veteran, left behind "32 jars of Miracle Whip, 17 boxes of Hamburger Helper, and multitudes of other random items that would prove helpful in the event of a zombie apocalypse," reads the death notice which you can read in full on the Geisen Funeral Home's website. Part of Terry's obituary, on the funeral home's website. He also accumulated roughly 3000 rolls of black electrical tape after "39 years of begrudging service" at AT&T. Ward, who was married for 48 years, "met the love of his life, Kathy, by telling her he was a lineman - he didn't specify early on that he was a lineman for the phone company, not the NFL," Lahm wrote. 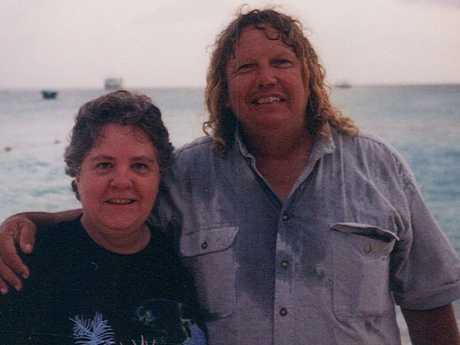 Terry, with his beloved wife. He loved hunting and fishing as well as "Bed Bath & Beyond, starlight mints, cold beer, free beer." Things he despised were "uppity foods" like hummus - something his family referred to as "bean dip" for his benefit. "He had zero working knowledge of the Kardashians," Lahm wrote. The obituary concludes by asking that people share stories of "the great Terry Ward," as well as make a donation to their favourite charity in his name. 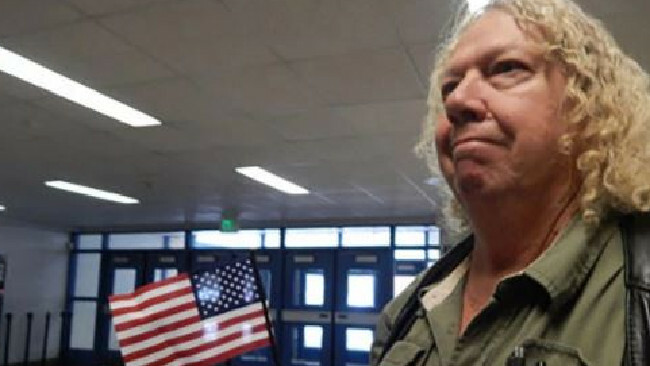 The joke-filled obit delighted social media users, who expressed appreciation for Ward. 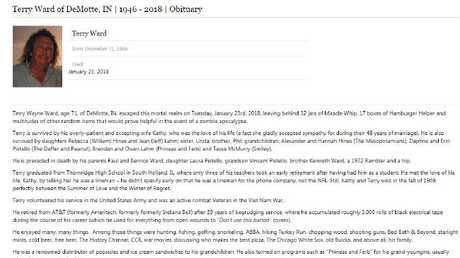 "If you read anything today, read this Indiana man's obituary. It will be the best thing you've seen all day. #RIPTerry," Autumn Wolfer wrote on Twitter. 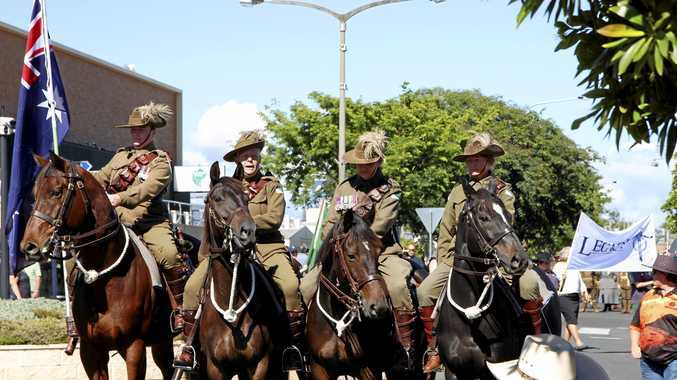 "I think the greatest regret of my life is not knowing Terry Ward during his. Because he sounds awesome," tweeted John Moe. "A lot of people relate to someone like my father," said Lahm, adding that she never expected the obituary to attract so much attention. Lahm says her father ironically didn't even know what a hashtag was, but that she knows he's laughing about his internet stardom. Lahm is certain her father would have approved of the humorous tribute. "I think he would have had it on his garage fridge," Lahm said.